It's good to have the Internet connection back after one full day of disruption because of the broken under sea cable that affects all Speedy users. It's reported that the failure has been detected since last week (i experienced this, since my downloads often returned an error until i resumed it again), but it went down yesterday. I missed lots of email that i had to replied yesterday and i couldn't do anything besides local work. Well, it's good to know it has came back alive (although i'm not sure it's 100% recovered). PR Goes Back to 6? When i browsed my own blog, i noticed that my Google Page Rank extension showed 6 on the status bar, meaning that my page rank has increased and return to the original value (it was originally 6 before Google changed his algorithm and dropped my page rank to 5). Some blogger was quite lucky to get their page rank back in just a few days, but it took me more than a month to get it back to 6. In the next one hour (relative to the time i'm writing this post), we will come to a day that only existed on leap year. It's 29 of February 2008. It's a year when there's an addition of one day to keep the calendar year synchronised with the astronomical or seasonal year. In this date, i'm going to migrate the Indonesian Linux Forum to the old domain, http://forum.linux.or.id and we're leaving the beta version of the usage of phpBB3 engine. It has been tested for several month and no major problem occurred (most of the problem are because the difference between phpBB2 and phpBB3 and i don't have time to study all of them). A new stable kernel has been released by the -Stable team. This version has quite a lot of patches to fix several problem that need urgent attention. See the Changelog for more detailed changes. Along with this update, legacy kernel version also gets an update 2.6.22.19 and 2.6.23.17. Unfortunately, this also means that support for old kernel will also be dropped as the 2.6.25 is getting near to be released. Last year (or probably two years ago), i got an advertisement proposal from a person who was willing to pay US$ 50 just to put two text-based on my blog (i wonder why would they were willing to pay that much, but i accepted it anyway since i have nothing to lose). Today, i got another one (from different people), but this time, they want a banner (they provide three kind of banner) or text-based advertisement and they asked me how am i going to charge for it. Honestly, i'm confused with it. I never charged anything for my blog's advertisements, as i'm doing it not for commercial purpose. Any ideas how am i going to charge for this advertisements? Good news for Apple mania, there will be an official Apple reseller in Jogja. It will be located in Ambarukmo Plaza, besides theater 21, in the third floor. I just came back from there and i was quite surprised when i saw the board. I don't know when will they launched, but it's a big news for Apple community in Jogja, as i saw that there are a lot of people who uses Mac. I just finished watching Knight Rider 2008 that are already on air on some countries, but not in Indonesia yet. Even so, i'm quite luck to find the downloadable files and watched them. It's so COOL!! Metallic paint with nanotech enhanced camouflage including morphing License Plate. Biometric Interface to access security features. Wireless headset to communicate with passengers within a limited distance. Although largely solar powered, KITT does use gasoline; with 91% of the energy being recycled, he averages 167 miles per gallon. I must say i'm impressed on this small utility (PHP Shell). It's a PHP scripts, but it a tool you can use to execute arbitrary shell-commands or browse the filesystem on your remote webserver. This replaces, to a degree, a normal telnet connection, and to a lesser degree a SSH connection. It will shows a forms that can be used to login and execute several commands in your servers via your web server web interface. Installation is very simple. All you need is unpack the package and place it on a directory where you can access it. Next thing is generate a randomize password using the password generator provided and put it on the configuration file and you are set to go. - Singapore - Tempat Tujuan Baji Pelayanan Kesehatan Kelas Dunia --> it should be "bagi"
Who still uses resolutions under 800x600? The Document Freedom Day (DFD) is the global day for document liberation. It will be a day of grassroots effort to educate the public about the importance of Free Document Formats and Open Standards in general. They are holding an event that seek to have local teams from all over the world organise events on the last Wednesday in March. The first 100 teams that sign up will get "DFD Starter Pack" containing a flag, t-shirt, leaflets and stickers. This year, China is planning to held two big (unrelated) events. One of them is the 2008 Olympics game. Some people predicts that this will be one of the biggest Olympics game that ever held, but that must wait until the event is over. Regarding to this event, i read that the tickets given to other countries only 25% from total tickets sold in this year's Olympics. Indonesia is only given 1898 tickets for all games and most of them are for badminton, since the distribution is based on how many athletes sent on the sport category. Regarding this policy, it's not strange, since China's population is over 1 billion people, so 75% of the tickets were prioritized for their local people first. I found this nice article from LifeHacker. It's a good reference if you need to know how to tie a tie. It has a video or images demonstrating how to get the tie works on your suite. It also gives a tip to pick a tie to match your style. Btw, this article was posted on Kinowear's blog where it talks about artist fashion and styles. I must say that i'm impressed by the wedding party that was held today on JEC (Jogja Expo Center). The couples were TT and Yenni. TT's father is Mr. Fanthoni, a popular MC on many wedding party. In total, he invited almost 4000 people (yes, he is very famous) and people who came at this party might be more than doubles of the invitation. He prepared about 100 food stations to serve their foods and drinks to their guests until 10 PM and there's been a rule that the stations must not stop serving until time is up (well, some of them couldn't accomplish this one, since it's very hard to re-stock the materials when you are busy doing things and people keep coming and you never know when will they stop). Linus said 2.6.25 will not be as hard as 2.6.24, as he already pushed second RC for the next 2.6.25 release. It's stabilizing phase right now and most of the broken/unstable code has been fixed by the developers and it will be several RCs before the final version shipped (around April is the most suitable schedule for 2.6.25). The full Changelog will list all of the changes, meanwhile, the announcements can be seen on LWN or LKML. Meanwhile, 2.4.36.1 gets it's way to the public with several updates from Willy and Dann. The full Changelog contains fewer updates than the 2.6.x kernel, but worths reading it. Although many ordinary people already switched to 2.6.x kernel, there are still people who used 2.4.x kernels, including Slackware users prior to Slackware 12.0 who still uses 2.4.x as the default kernel. Ok folks, OOo 2.4.0 is now on RC1 and you can help the project by downloading it and testing it (please note that this version is NOT recommended for daily use. It's only for TESTING purposes). Changes compared to previous build (M6) have been published on the Release Notes. I have sent a mass email to all Indonesian Linux Forum member about the total backup progress that is being conducted before the full migration to the old domain http://forum.linux.or.id. During this preparation, i have disabled the attachment feature on all boards, meaning that you can't send an attachment on private messages or post. This is required to make sure the consistency between the old and new domain, since i'm migrating the files right now. The next Beta version of the upcoming Firefox 3 has been released to public. According to release notes, it's stated that this beta has introduced 1300 changes from the previous beta including fixes for stability, performance, memory usage, platform enhancements and user interface improvements. You can get the latest beta version on their beta site. Blogger requires me to write word verification every time i wanted to publish my post. It only happened on this blog and not in my SlackBlogs. After the updates from Blogger team has been pushed today, a new link comes up under the word verification textbox, which said "Why do I have this?". By clicking this link, i was redirected to a new page saying that my blog was detected as a spam by Blogger's spam-prevention robots. In that page, i can request for unlocking my blog and if they have verified that my blog is not a spam, i will not need any word verification again every time i post something. It's very annoying, since the word verification is always wrong if i go idle too long after writing some of the post (and the saving text has comes up). I guess it's a bug in Blogger session. If you are going to US in short time and you wish to bring your electronic equipment with you, you MUST read this article first. It's called Five Things to Know About U.S. Border Laptop Searches. Basically, all travelers, U.S. citizens and others, need to be aware of certain issues when entering the U.S. with electronic equipment. WHY? Because a lawsuit has been filed last week over warrantless searches of laptops and other electronic devices at U.S. borders, meaning that the officer at the borders could take your laptop without any evidence needed. Yes, it's out there now and it's as big as 2.6.24-RC1 (The full diff is something like 11MB and 1.4M lines of diffs). I guess it will be a hard release (ohh, not again please) for Linus and other team member. The announcement was published on LKML and it already contains a bug that makes the build process failed until Sam Ravnborg puts a patch on it. AJAX is now dominating on how to make a nice website. Most big sites uses AJAX, but does AJAX should be used also on your website? Here's an article from IBM about Where and when to use AJAX. It should give you some brief explanation when to use and when NOT to use AJAX. Valentine's Day is nearly here... February 14th, 2008. But think about it, who do you hang out with, who shares the good times and the bad ones, who drives you crazy but keeps your life together?...........Your computer, and it's time to say it out loud: I love my computer! Mandriva and Bloggino are getting together to launch the first Computer Love Day on February 14th. So what do you do? It's fun & easy. Let that special computer in your life know how you feel, by posting a message, text, picture, video and by voting for the message you prefer. Where to post your message? Just go to www.computerloveday.com and it will redirect you to a dedicated space on Bloggino where you can view all the contributions, add comments and post your message after a quick sign-up. 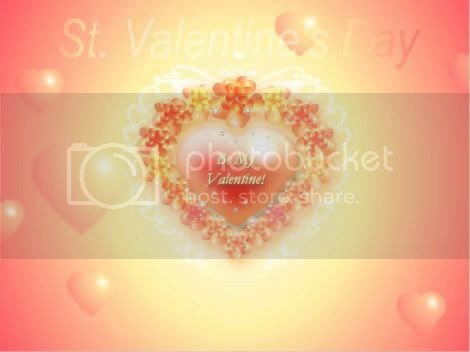 Do not hesitate to stick the Computer Love Day logo on your blog or site, too. Computer Love Day will close on February 14th midnight, of course. Voting will be allowed for another three days after the 14th. Contributions with the most votes will win. Prizes will be awarded by Mandriva for the best 3 contributions. First prize: Mandriva Flash 2008 + Tux Droid! Third prize: One year Powerpack subscription (allowing you to get two Mandriva Linux distributions per year). Mozilla team has released an update for Firefox and Mozilla Seamonkey to public. It's dubbed Firefox 2.0.0.12 and SeaMonkey 1.1.18. Both are stable version, meaning that they targeted for stabilizing the product and fixing critical problem, including security vulnerabilities, not adding new features to the products. Meanwhile, Firefox 3.0 Beta 3 has been prepared before they release the first RC to public. I have been testing Beta 2 on Linux and it does works on general usage, but they could do better than that, since according to their announcements, there are still 61 P1 blocker for 3.0, meaning they need to work harder to squash all those bugs to 0. I just came back from annual events, "Pekan Budaya Tionghoa" that was celebrated on Ketandan, sometimes called Jogja's Chinatown. Today was the opening and it will be held for five days starting today until next Monday. I have taken some pictures and movie (very nice fireworks), but unfortunately, i couldn't upload the movie, as it's too big to upload (approximately 40 MB), so i just upload the photos on my PicasaWeb account. I'll try to upload this to local web hoster, but i can't guarantee that it will be uploaded in short time. You can also see the schedule for the remaining four days if you haven't visit this place (or if you are planning to go to Jogja, please visit this event, as it's only held once a year). Adobe has released Adobe Reader 8.1.2 for Windows, an incremental release for their 8.x series. It can be downloaded from their FTP Server. As usual, Adobe delivers it in two formats, EXE (22 MB) and MSI (33 MB). - More print option in Calc : The Print dialog in Calc gets extended by a new possibility to define what part of the spreadsheet has to be printed. In the current version the print setting "print only selected sheets" is located in the Options dialog of the Print dialog and got defaulted for OOo 2.3. This raised several new issues around print output is empty when the corresponding table was not selected in the spreadsheet and the setting itself was overseen/unknown in the Options dialog. - Support of background image on Impress : Lots of people are starting to use a huge amount of large-scale images in their presentations. But there wasn't any approach how to simply add a picture on a slide background. This feature should use a simple right-click way instead of a complex page format dialog. - Separate zoom per sheet : This specification documents changes made to the Calc options dialog. - Support for backward references in Find and Replace : The usage of backward references in regular expressions allows powerful find and replace algorithmns. E.g. It is possible to find and replace dates in differents formats like DD.MM.YY into MM/DD/YY. I read Maseko's post about Yahoo! OpenID and i realized i haven't activate my Yahoo! ID for OpenID, so i opened Yahoo's OpenID and activate my account. I tried to test it by giving comments to my friend's blog on Blogger and it seems that as Maseko stated, it's not working at all with the message : OpenID url is missing. It seems that both vendor uses different version of OpenID, but actually it supposed to be backward compatible, so why forcing to support the bleeding-edge technology when most site still uses the old version? I guess Yahoo! OpenID is not usable for now until people or sites have moved to support OpenID 2.0. I still use my OpenID which i got from GetOpenID. It's working on Blogger and many other services. Linus Torvalds has admitted that Linux is lacking behind on power management and energy diagnosis tools compared to other operating system (check my post on Slackblogs about this. Even if it's KDE application, they got the information from /proc which is a representation of values in the kernel itself). But that doesn't mean that he and other kernel developers stayed relaxed and do nothing. They prepare the infrastructure and they think it's quite ready for further development into stable environment. "The question comes up but it is not something I really worry about. There are other people who could take over what I do. I would like to think that they would be worse at it but it is not like [Linux] would go away or be in trouble"
Actually, i thought the last day will be very quiet, since no students goes to their campus, but since there was a barongsai event, many small kids came here along with their parents to see the event. The clausal to buy Yahoo! is considered an important thing so that it will need further discussion. There will be a hearing season from Microsoft about this giant steps. Even though Yahoo! and Microsoft is going to be both happy with this deal (Yahoo's index raised 44% after the news), it means that there will be a change for monopoly in the future between Microsoft/Yahoo against Google. PCWorld has made several articles about this and you may find more on the web, since it's a hot topic for this week. It has been reported in some news that Microsoft had offered to acquire Yahoo in a proposed cash and stock deal valued at $44.6 billion. If this happens, then i guess it will overlap Sun's acquisition to MySQL and i guess it will be the biggest (yet) buy out this year. Thank God i have moved back to Jogja last May. When i came back from UAJY today, i got an email from my friend at Jakarta saying that Jakarta is flooded again. The prediction that Jakarta will be drowned again at February become reality (last year, it's also in February). Some bloggers have posted this news on their blog, such as Nurul (more will come tomorrow as they told their experience fighting to get home). 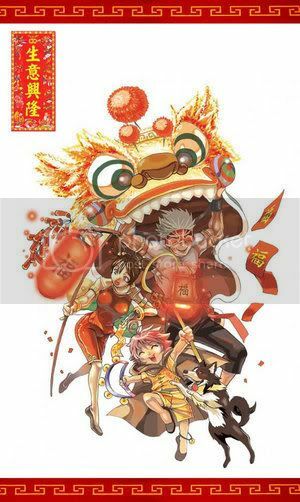 Chinese new year will come next week (on 7th of February) and one week later, it's Valentine day . There's a lot of preparations have been done for this two events. For example, Atma Jaya university held a bazaar on their campus since few days ago. I just came back from their campus and today's event was karaoke. The singer had a nice voice, since they practice very often and some of them are the winner on some singing contest. A buffer overflow was found and reported by Adam Bozanich of Musecurity in the code used to extract album titles from cbbd server answers. When parsing answers from the cddb server, the album title is copied into a fixed-size buffer with insufficient checks on its size, and may cause a buffer overflow. A malicious database entry could trigger a buffer overflow in the program, that can lead to arbitrary code execution with the UID of the user running MPlayer. As usual, they response quickly by providing a patch and it has been commited to the SVN Server. Torrent is definitely the most popular P2P networks nowadays. Lots of files can be found on torrent while it's not available for direct download. The nature of P2P which involves file sharing is the main reason why this type of networks grew so fast. One of the biggest Torrent tracker site, TPB has celebrate a milestone by tracking over 1 million torrents. They also had over 10 million simultaneous peers on the trackers, 2.5 million registered users, and also 100 blog post.